Your Nourish experience doesn’t stop after graduation. ​Stay connected with the movement for professional networking and development, opportunities to give back and support current students, and more ways to continue having an impact on extreme poverty after your time in a chapter is complete. Nourish Forum: The forum is a judgment-free site where Nourishers can challenge each other and host awareness discussions without the fleeting nature of Facebook or the seriousness of LinkedIn. Check it out here! Stay in Touch! There are over 1,200 Nourish Alumni doing wonderful things in their post-grad lives, all around the world! Join our Alumni Facebook group to stay up to date with all things Nourish. As a member of the Nourish Professional Network, you’ll have the opportunity to support future students in their endeavors and help Nourish became even greater than it is today! We want to keep in touch with you, so please let us know when your contact information, such as current job/student status, address, email, phone, or marital status changes! Update your contact information here. The Nourish Alumni base is vital to the movement’s success. Help us leverage the power of our alumni by supporting the National Office and current chapters! There are lots of ways to engage with current chapters and support NINO. 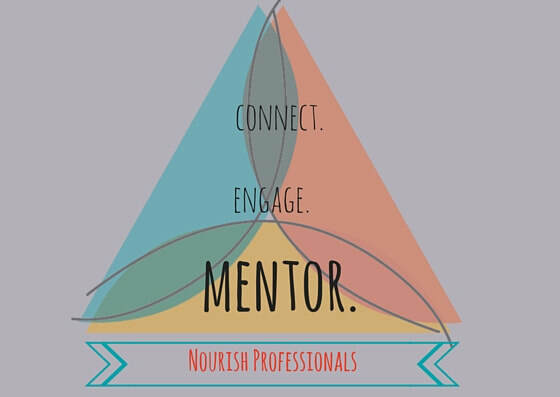 Join the Nourish Professionals Council! Formerly known as the Alumni Committee, the Nourish Professionals Council is a group of individuals who were involved with Nourish as an undergraduate student or who have joined the movement after graduation and want to be involved on a deeper level in strategic discussions on impact, programming, and other matters that affect the alumni network. Contact Jonathan to get involved! Donate to the movement! Nourish operates on a mixed-income model, with 50% of our revenue coming from business activities. We rely on our generous donors, including our amazing alumni, to close the gap to support critical programs such as Summer Institute, Bridge Scholars, Venture Fund, and more. It’s easy to donate to Nourish: you can make a one-time donation, or choose to join our monthly giving program, the “Rice ‘n’ Beans Club”. Your support leverages the resources of the National Office, including chapter support programs like mentorship, financial management, and chapter visits, which provide immersive training on international development, entrepreneurship, leadership, and more. Nourish wants to support YOU! Nourish International is happy to write recommendations for any of our awesome Alumni. Email morgan.bush@nourish.org to request a recommendation for jobs, grad school, etc. on behalf of our Executive Director. Nourish engages alumni+professional mentors both at the annual Summer Institute (a 5-day, immersive training experience held every summer in Chapel Hill) as well as year-round through our Mentor Bank program. Nourish is now active on 64 CAMPUSES across the US and in Canada! We need YOU, our amazing alumni + other post-grad Nourishers, to help us support the 1,000 student leaders who are working hard throughout the year to start ventures on their campuses, build strong chapters, and establish responsible and impactful partnerships. This year, we are continuing with the mentor bank system for this program. Let us know what skills, interests, and focus areas you have to share with our students, and we will match you, as-needed, with current chapter leaders for specific, time-bound mentoring projects. Sign up to be an alumni mentor here.